Having been diagnosed with high cholesterol your doctor is probably pushing you for dangerous medications with a list of side effects that extend longer than the listings in a phone book. Now if he/she is good, you may also have received recommendations of some basic diet and lifestyle changes (oftentimes impossible to follow). But how about taking one vitamin, available in every health food store… and even better, one you can get for free in most places? And this vitamin was proven in a new study from Women’s Health Initiative to significantly lower bad cholesterol and raise good. Vitamin D is well-known for treating weak bones, but now it has been identified that it can help control the level of cholesterol as well. In the study published in the journal, Menopause, the researchers focused on a group of 576 women, all of whom were postmenopausal. They were divided into two groups: one group was administered a daily dose of 400 units of Vitamin D along with 1000 milligrams of calcium while the other group was given a placebo. The women were followed-up for a period of three years. The researchers took into account the various habits of the women including initial Vitamin D level in serum, smoking and drinking habits. At the end of the study period, it was found through blood tests that there was a significant rise in the level of Vitamin D in the serum. This included a corresponding small but significant drop in the ‘bad’ LDL cholesterol and a rise in the ‘good’ HDL. It was also discovered that the supplements were especially helpful in raising Vitamin D levels in older women. Also the Vitamin D level rose at a higher level in those women who did not smoke or consume alcohol. While the researchers emphasize that Vitamin D cannot be directly correlated to cardiovascular health, they recommend that Vitamin D is included as much as possible in the daily diet, because this vitamin plays many regulatory roles in the body and is essential for overall health. 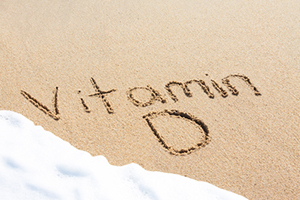 A small amount of Vitamin D is found in fatty fish like mackerel, herring, tuna and sardines. Many dairy products, cereals and juices are fortified with Vitamin D.
However, the best way to get your daily requirement of Vitamin D is to go and get some sunlight! 15-30 minutes of daily sunlight is all you need. This entry was posted in Health and tagged cholesterol and heart disease, chronic health conditions, Farmington Hills chiropractor, health, Sun Light by tiptonchiro. Bookmark the permalink.